Amazon Chime meeting attendees using the desktop client can now use the "Feature this video" option to increase the size of a specific video tile. This makes it easier to collaborate by focusing on the speaker, the room or a specific attendee. Attendees can easily change their view and select or deselect a video tile to be featured. To expand a video tile, hover over the tile and choose the Feature this video icon. To shrink back down, hover over the tile and choose the Un-feature this video icon. Note: The featured video capability is available when the meeting window is in normal or full screen as well as when the video is undocked and full screen is selected (useful when meeting attendees are using multiple monitors). When the video is undocked and not full screen there will be no Feature this video option. Users with Amazon Chime accounts now have more control over how they are notified on each of their devices when automatically called for scheduled meetings or when added to instant meetings or adhoc calls. We modified several keyboard shortcuts that we made available for iOS and iPad devices with external keyboards. The new tab switching keyboard command now includes a shift to avoid a conflict with the device-wide ⌘+arrow combinations. The complete list of iOS keyboard shortcuts is provided below. We added the ability for Windows users to select all the message threads in 1:1, group chat or chat rooms. 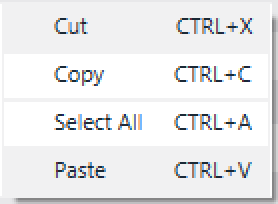 Click inside the thread and use either “ctrl + A” or right click and choose Select All. Amazon Chime will select all message threads that have been loaded. The threads will be saved onto the clipboard and available to paste. Corrected behavior where files for long recordings (> 7 hours) were not getting processed and delivered.